Playford Football Club are ecstatic to announce a new partner for the 2018/2019 season. 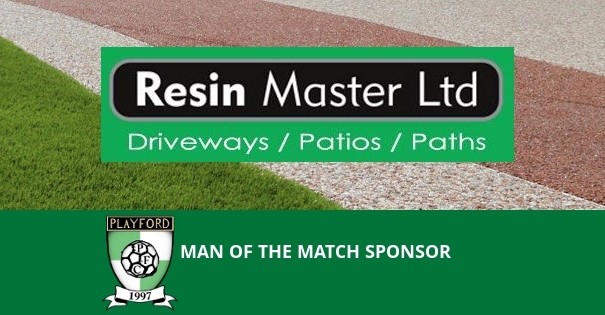 Resin Masters are joining as a Man of the Match sponsor. Resin Masters are specialists in resin drives, resin patio areas, resin paths, also patterned concrete, tarmac and more. They have a super show area in Rendlesham where you can see the work for yourself. They will be sponsoring the First Team Man of the Match awards.